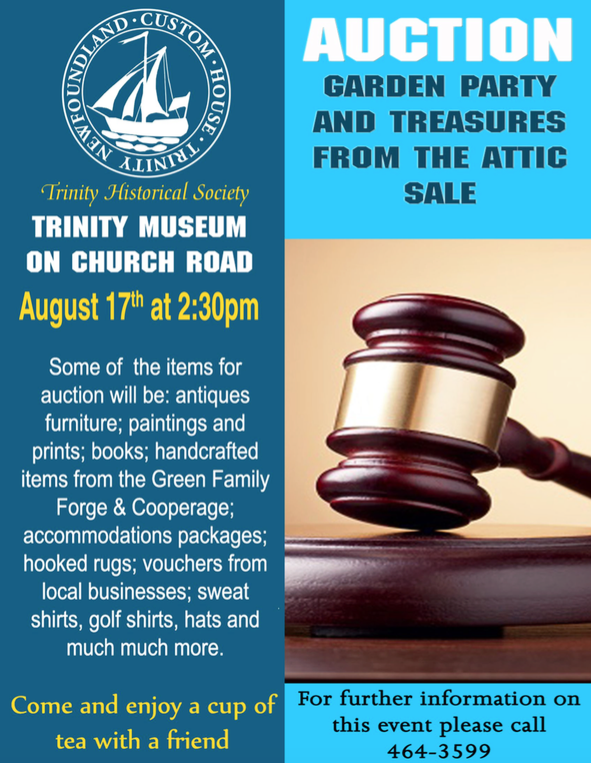 The Annual Trinity Historical Society Inc. auction and garden party is happening this weekend on Friday, August 17th at 2:30pm! View their Facebook page to see some of the items that will be available for bidding: http://bit.ly/2nH6Hta and keep watching their page for more items to be added daily! If anyone is looking for a good time this weekend, drop by Trinity Days to get in on all the fun!